We’re a month or so out from the release of Star Fox Zero, so now is the time when we’ll start hearing key details and fun promotional tidbits to amp up the hype before release day. 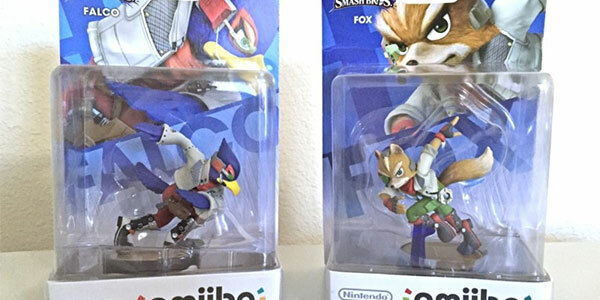 Of course there will be compatibility with the Star Fox amiibo that were made for Super Smash Bros., and now we’re learning details of what exactly that compatibility will entail. Earlier, it was revealed that the Fox amiibo will let players fly a retro-style Arwing in the game, and now we’ve learned that the Falco amiibo will also give you a special Arwing—in this case, a black vehicle that will allow players to lock and target two enemies at once. The downside to this combat advantage is that your black Arwing takes three times as much damage, so you’ll have to be a superstar pilot to get the most out of this one.